September 16— Motherwell, near Port Elizabeth, is home to some 140,000 workers and their families, almost all of them black South Africans. It’s also home to a growing collective of industrial workers who are spreading communist ideas in auto factories, a heavy metal plant and in the industrial area where many factories are located. The Coega Industrial Development Zone, only 13 km (8 miles) from Motherwell, is a major regional investment initiative that includes the deep-water Port of Ngqura. Port Elizabeth is the heart of the South African auto industry. And its auto workers are central to the growth of the International Communist Workers’ Party (ICWP) in South Africa and potentially worldwide. New auto worker comrades have quickly started spreading communist ideas and literature at their plant. Each one of them has brought new energy and the morale of the party is very high due to their eagerness to talk about communism. Rustenberg, near Johannesburg, is the fastest-growing city in South Africa. It is the center of the mining industry and it, too, is in the process of becoming a center for communist organizing. About two hundred copies of Red Flag are passed from hand to hand each issue, mainly among miners. 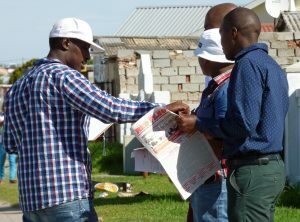 Comrades are consistently following up with workers who have given us contact information. Future visits are being discussed now. Student comrades have contributed tremendously to the growth of the ICWP among industrial workers. They have also had good success organizing female and male students on their campuses in Cape Town and Port Elizabeth, where they are recruiting new members. They have ambitious plans to distribute 2000 copies of Red Flag in the next 6 months and have a campus conference. Since May Day, the work of our party has advanced in quality and quantity. 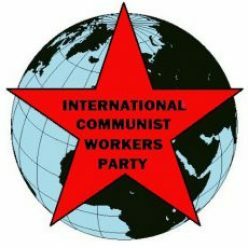 If we recognize the potential that exists, we can transform the party into a mass organization that can propel ICWP’s communist work all around the world. This requires a critical look at the obstacles that we face. We recognized that workers and students in South Africa are relatively more open to communist ideas. We developed a one-sided view that this enthusiasm would automatically translate into the growth of the party. Now we have realized that what was missing in our work was consistency. Consistency in building communist base, in distribution of Red Flag, in meetings, and especially in developing communist relationships. Throughout our lives, we make close relationship with our family, neighbors, friends from school and work and many others. Capitalist culture promotes alienation and isolation, but we estimate that an average adult has social relationship with hundreds. We must have a broad outlook of struggling with a very large number of them to win them to communist ideas. Each party member should be working with at least fifty people with an outlook of involving them in reading and circulating Red Flag, writing for the paper, participating in study groups and socials and joining the party. After May Day, the Party in South Africa confronted the problem of consistency by struggling to make strong collectives. It started with the leadership collective. Internal struggle made each person more accountable and, at the same time, more confident. Weaknesses were no longer seen as personal failures, something to be ashamed of or hide from. Each person and each collective made concrete goals of increasing Red Flag readership, visits, recruitment, etc. JOIN ICWP became the battle cry in a very serious way. The collectives have matured and deepened their commitment to each other, to the working class and to communism. The consolidation of the new comrades is no longer taken for granted. Rather, the hard work of training the new comrades to write for RF and to recruit new members is taken with utmost seriousness. Classes about communist philosophy (dialectical materialism), collective reading and writing for Red Flag have become regular and consistent habits. We continue to emphasize the strength of concentration. As much as possible, each member is mobilized to do both the student work and industrial RF distribution. We all have a lot to learn from the process of the growth of the auto workers. The comrades who have joined recently are more like than different from the thousands who are not yet members of the party. Their recruitment was a result of a year-long struggle with a comrade who is very religious. If we fully grasp the dialectical process of this development, we can advance to the next level. And the masses in South Africa are more like than different from millions more around the world. In our party today and in future communist society, the broadest possible masses must be involved in thinking about the work, setting goals, making plans, carrying them out and evaluating the results. There is active party-wide discussion going on now to define our concrete goals of recruitment and Red Flag distribution. We are sitting on the edge of an avalanche!